Okay, this is a big rose. A big huge cabbage rose the size of a globe artichoke. One that’s almost blowsy-looking. The kind that smells of spices, the kind that if you have a bouquet of it had better be in a room the size of a small branch library lest its big, fat rosiness threaten to strangle you. It’s exactly the kind of rose that I don’t like. It’s Just. Too. Much. So much that I am not going to wear it more than this one day to see if I can stand it. But you know what? I had three strangers compliment me on it and by BFF raved about how great it smelled when we were having coffee. So it may not be me; perhaps it’s you. I love a big rose some days. I just recently (yesterday!) became acquainted with Sonoma Scent Studio, and I’m pretty smitten, so I may end up trying this one, too…. If you like your roses big with a large “b” then I think this will please you! I just plucked a rosa rugosa (ow!) and thought of your review – you make this sound wonderful – in a very weird way! ;)) Can’t wait to try it! ps. I second (third?) the haiku! Do Japanese roses do well in pots? I don’t know any roses that do well in pots – but I live in Illinois, where a potted rose doesn’t do well outside of a conservatory – at least not in the >-) ‘s garden. Rugosas are very sturdy and do very well here. In the ground. Pots, no. For you? Prolly. And I envy you for it! I blame it all on Safran Troublant. It was my, “Oh! A rose I like.” moment which was followed by experimenting with rose in other formulas. So thanks, I like SSS and I will be ordering my sample of this today! Please someone shoot me if I start smelling like b.o, stale cigarette smoke and roses. Ha! I’m sure that Etat Libre will be coming out with a little something soon with just those notes! I had to order a sample of their Jasmin et Cigarettes just to see if it was similar to that scent memory! Thankfully no! Although Divin’Enfant is #1 on my odors I never want to smell again list. Perfect summer scent; I already smell like the first two! It is a nice summer scent! Tom – I love your review of Rose Musc. It is actually one of my favorite roses of all. I.LIKE.BIG.ROSES. What I like most about Rose Musc though is that about 7 hours after I’ve worn it, up to even the next morning when I wake up, there is this amazingly wonderful labdanum still lingering, like it melted all over my skin. I can’t get enough of that rose-labdanum combo which is a match made in heaven. You will appreciate this though: one time I put it on, and dear hubby of mine who actually likes rose fragrances said: “did you open a bottle of wine?” It took me a minute to realize he was smelling the deep rose in RM. Ha. I love it. It does have a bit of winyness to it. Great review, Tom! I’m not a rose fan either (only Nahema and only on certain days) but I am a huge fan of Laurie’s, although more her non-rose scents: Champagne de Bois and Incense Pure are two favorites. I’m testing some new ones for her now that are gorgeous and also not rose. For the rose lovers here, I’d also recommend her Cameo, a soft, romantic rose/violet combo. It’s more rose on me however. Oh yes – Cameo: Roses, Violets, Labdanum, and Sandalwood…. If we’re starting to talk rose scents in general, I have to recommend Evelyn, by (I know, I know!) Crabtree and Evelyn. But this one isn’t as generic-market-y as the name brand implies. The company worked with David Austin, the breeder of English roses, and he actually named Evelyn for the rose which produces this perfume. Owning the perfume – and growing Evelyn roses in my backyard – I’ve compared the stuff in the bottle to the bloom on the bush. I think they’ve nailed it. If you’re looking for a soliflore rose scent, give Evelyn a try. oooh! me, too! I love Austin roses, though growing them in IL is challenging (Griffith Buck roses do better here). 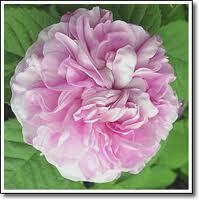 I love the idea of an Austin rose scent! This is a strong rose, but I get some spicy scents underneath. It’s my happy scent! I have that rose bush and it smells heavenly. i was left with one question: any musk in this one? i don’t mind a good rose, and i love a good musk. so… how does the musk rate? As a complete non-sequitor, I was reading a Serge Lutens interview and now am trying to think how to work the phrase “The chrysanthemum is tinged with bitterness” into a conversation. That IS a great phrase! Sounds like a great answer to a lot of questions, too, LOL! For example, the answer to “How are you?” on Mondays. Your review made me laugh. I am a lover of rose in all her forms and this is definitely a Big Rose. It is lovely in winter, I haven’t sprayed it so much recently. In other words, I will love it, right? I can wear several generous spritzes of vintage YSL Paris without turning a hair (although I can’t say the same for people around me) so this is must-try for me! Update – I just got a sample of this in a swap! And yes I LOVE IT! Somebody sent me some Velvet Rose a while back which I also love. Guess I better see if SSS has any other roses I “need” to try. Oh, I love all of her roses — I wear Rose Musc as well as Velvet Rose and Vintage Rose. I think they are all very well done, and certainly pleasing to any big, lush rose enthusiast. This is one is a perfect summer rose, in my book.